Depending on the type of a document (private or public) and its purpose of your papers, you might need a different type of verification. This process is also sometimes called attestation, notarisation, or certification. They all mean the same thing: your documents will receive recognition in other institutions or even other countries. Generally speaking, there are two types of verification: apostille and authentication. In most cases, both lead to legalisation. Notary Publics are usually dealing with private documents, while the Ministry of Foreign Affairs or Embassy/Consulate General with public ones (also called official). Authentification means an acquisition of a proof from a Notary Public (or gyosei shoshi) that the document and its description were created using just procedures. Documents containing invalid or illegal matters, documents with the altered, deleted or added text, as well as the documents that may be potentially used to commit a crime cannot be authenticated. Such proof means the acknowledgment of the signatures on the document(s). It is done by signing the document(s) or swearing that the signature(s) on the provided document(s) were made by the people who present them themselves in the presence of the Notary Public. 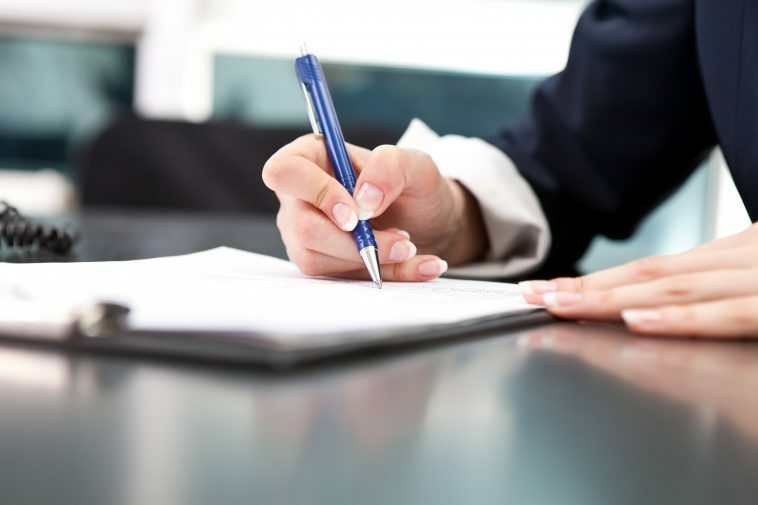 Once the signing or certifying the signature is done, the Notary Public will add a note to the document(s) stating the genuineness of the execution. It is possible due to the evidential power of the Notary Public. Such authorisation is only done to the private documents. Official documents do not require such procedure. However, in some cases, they also need to be legalised. Then it is done at the Legal Affairs Bureau or at the Ministry of Foreign Affairs. In case the document contains the signature and/or a seal on it, it is not always known if this document was prepared by the person who submits it. In such case, gyosei shoshi can authenticate that the person submitting the document has prepared it. These kinds of documents are often needed for use overseas. When is the Authentication Ready? It is ready as soon as you certified the signatures or swore about the content of the documents in front of the Notary Public. Thus, you will get your document ready on the same day of your appointment at the notary’s office. This type of legalisation is almost identical to regular authentication. The only difference is that Notary Public certifies the content of the document, not the signatures. This means that the person who submits the document swears that the content of the document is true. These kinds of affidavits are sometimes required by the foreign countries to prove the truthfulness of the documents text. For that reason, stating false information that differs from the real original content of the document is punished by sanctions. The procedure of acquiring it and the needed documents are the same ones that you need when authenticating your documents (see the previous section). Apostille bears the same purpose as the authentication, but it is meant to be presented at the governmental and public institutions. The word “apostille” is used for the authentification that is valid for all the signatory countries of the Hague Convention of October 5, 1961. Once your documents are verified with the apostle they are officially recognized in all the countries that signed the Hague Convention. If you need to legalise your documents for the country that did not sign the convention, you will need to obtain consular authentication (see next chapter). Your documents will receive an attachment that verifies the document for use in other countries of Hague Convention. In order to get the apostille, you need to apply to the Ministry of Foreign Affairs and provide the set of required documents. You can do that in person, via a representative or by mail. The Ministry will process your request and papers and will attach an apostle. Usually, documents with the apostille are needed for such procedures as marriage, divorce, birth registration, visa application, incorporation or real estate purchase. If you apply through the representative, the representative also has to submit a filled-in Power of Attorney. If you apply via mail, you also need to submit a stamped self-addressed envelope or a letter pack. You cannot change the mean of delivery once you have started the process. Applications made in person should be picked up in person from the service desk. Applications through representative are handled by the assigned representative person. Mailed applications are returned by mail. Mailing is done only within Japan from/to Japanese addresses. You cannot send your pack of documents from overseas, and your documents will not be delivered to you outside of Japan if you leave in the process. There should be one person responsible for submitting. handling, and picking up the documents. The identity of the applicant will be confirmed at the beginning of the procedure, and only this person will be contacted later on regarding all the application matters. There is a possibility to order application forms and the Power of Attorney via mail or fax. These can be sent overseas since they are only application forms. You can find more information about these options on the official website of the Ministry of Foreign Affairs. However, the process of legalisation is only possible in Japan. When is the Apostille Ready? If you apply in person, your documents will be available the next working day after 9 a.m. If you ask a representative to obtain an apostille for you, agree on the date of delivery. Since your representative will go to the office in person above-mentionedoned rule apply. Include also the time needed to make a Power of Attorney and to deliver documents to you. If you apply via mail, you will get your self-addressed letter/pack after 10-14 days. Add the time needed to deliver your documents to the office. This type of legislation is similar to apostille, but it is used when attaching an apostle is impossible (the country which requested the document has not signed the Hague Convention of 1961). Such authentication can be done either by the Ministry of Foreign Affairs or by the Embassy / Consulate General of Japan. In the case of consular authentication, the handling institution will verify the official seal of the issuing institution. Please note, that if your documents have been verified by the Ministry of Foreign Affairs, they cannot be verified by the Embassy or Consulate General, and vice versa. Although the legalisation of these institutions has the same power, it is always a good idea to make sure which verification of which institution you need. The set of documents is the same as for an apostille. The only difference is that you will need the application form for authentication instead of an apostille application. Apostles and consular authentications are done free of charge. However, if you are using a representative, they may charge you for the services. Authentications and affidavits from the Notary Public are charged in accordance with their price list. How to find out what type of legalisation I need? You will not have to figure it out on your own. The legalisation is always needed for a certain purpose. Usually, it is a part of the document set you are preparing for a certain purpose: marriage or divorce, real estate purchase, transferring assets, etc. You will be instructed by the institution that processes the applications about the documents you need and their appropriate type of legislation for this specific purpose. How do I know where to get a certain type of legalisation? When you are preparing your documents for a certain type of application, the institution that processes your application will tell you what kind of legalisation you need exactly and where to get it.